At AJK Services not only we carry out the full range of plumbing and electrical activities, but we are also specialists in the supply, installation and maintenance of Solar Panels for hot water production. 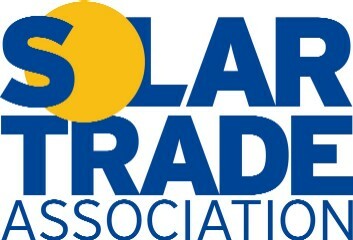 We are NAPIT, BPEC, Solar Trade Association, Micro Generation Certification and Low Carbon Trust registered. All of our work is compliant with the current relevant controlling bodies. 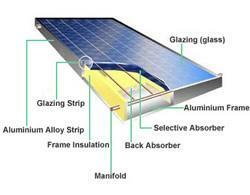 We have a vast wealth of experience in solar panel installation. We currently install in excess of a hundred new Solar installations each year, and this figure is rapidly growing. Our installers are OFTEC and BPEC registered. 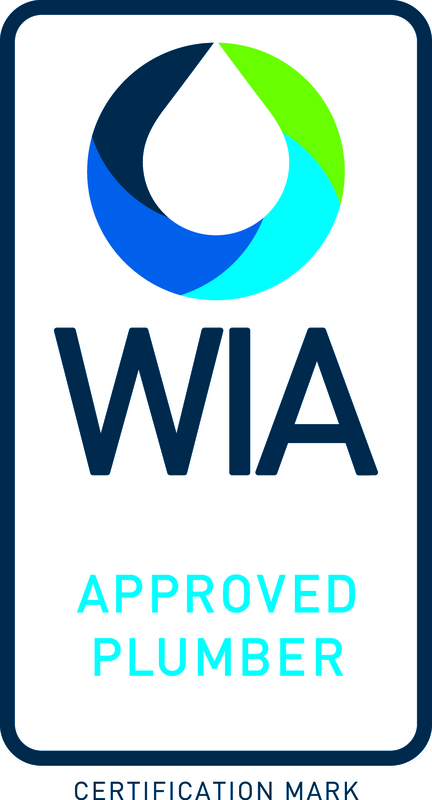 Our work is to the highest standard possible and installations carry a full two year workmanship guarantee in addition to the manufacturer's product warranty. The content of this website is carefully designed to give you the straight facts about Solar panels in the UK, and to help you make a balanced decision in your choice of the right solar panel for you. The information is based on our vast experience, not on hard sell, and the prices we charge for our products and installations are fair. Over the years the Solar Panel Industry has been subject to much bad press and miss–selling of panels with promises of fantastic temperatures and phenomenal performance. When contacting us you will never go through to a pushy sales person, but will always, if required speak to an engineer who actually puts the panels on the roof! That's way we can give you an honest appraisal of what an installation requires, and be able to accurately answer any of your questions. 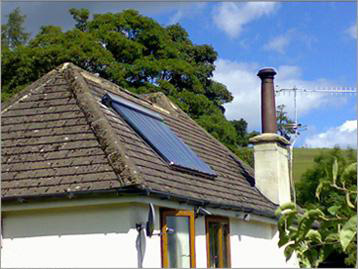 To simplify the situation there are two main types of Solar panels available in the UK, Evacuated tubes and flat plate collectors. Each type of panel has its strength and weaknesses. Evacuated tubes are capable of producing very high temperatures; however this in itself can cause the unit to fail. The excessively high temperatures at the top of the tubes, [up to over 100c] causes shearing forces in the manifold and tubes, which can lead to tube failure. The tubes are quite fragile and subject to storm damage if sited too close to trees. They unfortunately are also subject to damage from vandalism. For most people this is not a problem, but if the panel is to be sited close to a road or path, this is a very important issue to take into account. Because of the very high temperatures involved it is often necessary to mount pressure relief valves on the roof; this in itself makes the panels unsightly. Finally, the initial cost of installation of a typical Evacuated Tube Solar Panel installation tends to be quite high, and the ongoing running costs of maintenance are also considerably higher. For example, the cost of an Evacuated Tube Solar Panel system for an average household would typically be in the range of £8 to £12k. An equivalent Flat plate Solar Panel installation would be in the region of £3.5k to £8k. Obviously this means that your payback time is greatly reduced. Although they do not produce quite the top end temperatures of Evacuated Tubes, typically temperatures of 80 c plus are not uncommon, Flat plate collectors have several significant advantages. The real strength of flat plate solar panels is their ability to produce large quantities of usable water in the 40 to 70c range. After all human skin cannot tolerate much more than 42 degrees centigrade, so anything above that requires to be blended down to a usable temperature. The mounting options for flat plates are much more varied. They can be mounted on top of the roof tiles, or integrated the roof, the advantage of this is all pipe connections are inside the building and aesthetically the panel looks much neater, as in the photograph. 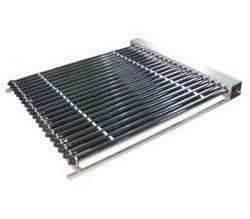 Flat plates are very robust and are more suited to the UK climate. It would be almost impossible for a correctly mounted panel to be pulled off the roof by the wind, and the front covers are made of toughened materials to resist anything thrown at them, whether deliberately or by the weather.